We rate the ICOBox project as “Stable”. The concept of ICOS tokens is simple and clear, and is a positive factor for potential investors. ICOS token holders are able to change their ICOS tokens into any other tokens with a discount of 75%. The ICOBox Project is ready to provide an infrastructure, and an experienced staff to carry out ICOs for new projects. It is ready to audit projects’ profitability. ICOS tokens are planned to be distributed in a way that supports and maintains a good quality and fair audit by the staff. However, ICOS token holders should realize that there will be unpromising projects that may be pre-qualified by the project’s specialists. So any final decision on exchanging ICOS tokens should be made by token holders making their own audit. Token holders should also realize that ICOS token conversion is an obligatory procedure. We believe that ICOS tokens will not be listed on exchanges within the first period. The project has a time limit, and is terminated after the team have spent all funds raised while the crowdsale. Inevitably, ICOS token holders will sometimes not have always an opportunity to exchange their tokens into tokens of other projects due to high demand, so they will have to exchange their tokens into the tokens of projects they favor less. ICOBox provides marketing, technological, and legal assistance for the arranging of ICOs. The ICOBox company is a legal entity incorporated under the laws of the Cayman Islands in 2017. The staff consists of experts from the UK, Russia, USA and other countries. A token sale will be carried out to launch a parallel ICOS program under Singapore jurisdiction. Namely, if other profitable projects are not able to pay for ICOBox’s services to cover expenses for implementing an ICO, they pay for ICO arrangements with the funds raised during their own ICO. At the same time, ICOS tokens holders get an opportunity to buy tokens of qualified projects with a discount of 75%. Distribution​: For every 100 ICOS tokens sold through the ICO, 20 additional tokens will be issued for distribution to partners, advisors, bounty participants, and the team members. Marketing solution: there are more than 70 types of marketing method offered by the company. It has paid $20,000 for a campaign on popular social networks, and has bounty program support in 25 languages. The ICOBox experts state that many projects with in-demand ideas for the current market are often not able to arrange successful ICOs, or pay for an outsourcing company’s services. So ICOBox offers to solve this problem with their ICOS program. They arrange an ICOS token sale to raise funds for helping start-up companies’ token sales. These start-up companies have to be vetted by ICOBox analysts. Companies wishing to be assessed for qualification can apply after August 15th, 2017 at https://cryptoform.typeform.com/to/zzXaZo. From September 1st, 2017, pre-qualified companies will be listed on the ICOS platform available on icos.ICOBox.io. The first level of qualification is carried out by ICOBox experts. If a project satisfies experts’ requirements it goes to the next level. ICOS token holders then examine the potential profitability of the project, offering comments on all projects making it to this stage. Every week, ICOS tokens holders will vote to choose the companies to be assisted by ICOBox. The chosen companies pay for a proper package of ICO-arranging services. Payment is withdrawn from the escrow account where the funds raised during the ICO are stored. This means the number of projects carrying out token sales via the ICOS platform is limited by the funds raised by ICOBox. Chosen projects are obliged to transfer a portion of their issued tokens onto the ICOS platform. The amount of transferred tokens required is 4.8 x the package price. The main distinctive feature of ICOBox is the opportunity for holders not only to wait for token price increase, but to exchange them into tokens of other projects at a 1:4 rate. ICOS token holders have an opportunity to take part in qualified projects ICOs, with a discount of 75%. Tokens from new projects are placed on the ICOS platform before the start of their pre-sale. ICOS token holders can apply for their tokens to be exchanged for the new project’s tokens within 24 hours from their placement. If the ICOS holders’ demand is more than the offer available from the projects, tokens are distributed on a pro rata basis. After satisfying applicants’ demands, the rest of the tokens stored in the ICOS platform are bought for other ICOS holders at a first come, first served basis. They can convert ICOS tokens even after the crowdsale close date after application for such conversion by turn. Amounts are limited only by the rest of tokens available on the ICOS platform. The exchange rate is not changed. This project does not need a roadmap. The concept is to carry out ICOs for selected projects on its platform, otherwise it will not work. The strategy is also clear: They need to carry out ICOs constantly and increase the number of clients wishing to carry out their own ICOs with the help of ICOBox. August 15, 2017: Start of collection of applications. September 1, 2017: ICO application platform launch. October 2, 2017: first voting and selection of projects for new ICOs. Q2 2018 and so on: 20 projects per week. Therefore, ICOBox intends to carry out about 800 ICO within the first year of its life. 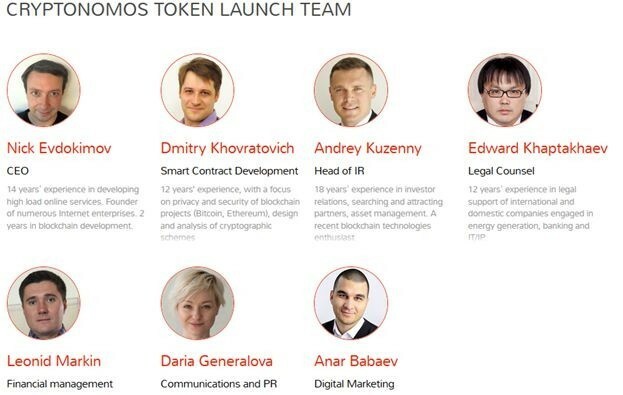 The first ten ICO candidates will be chosen by ICOS token holders on October 2nd, 2017. As we have said, ICOBox is able to compete in its market thanks to its strategy. Nevertheless, we believe this is too large a number of ICO candidates; it is very difficult to carry out ICOs for so many projects within the fixed period. Alternatively, we can imagine that many of the qualified projects are found to be not profitable in spite of a strong audit examination. Currently, ICO is the fastest growing method of fundraising. Within the last three months, the total amount of raised funds after ten large token sales is $965 million . 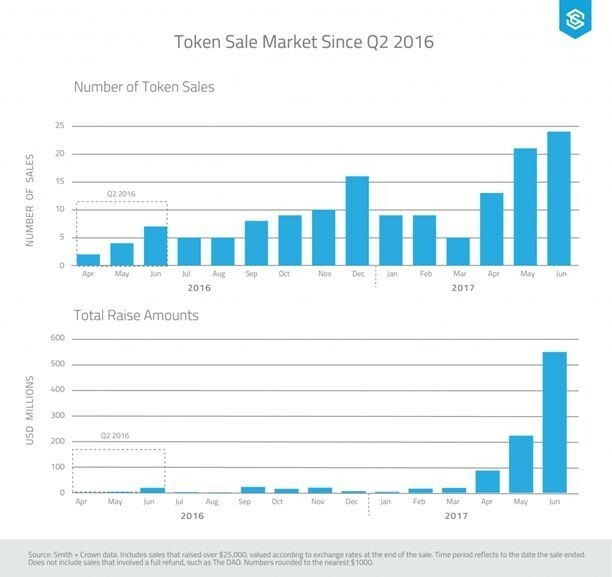 After the SEC announcement that ICO issued tokens are considered to be securities, the number of intended token sales have actually continued to increase. It is very difficult to attract cryptocurrency investors; sometimes companies do not have the money or even the time to arrange an ICO. As a result, we think that ICOBox services and their ICOS program are going to be in great demand for companies promoting their product. The ICOBox project is a unique one. It gives other profitable projects opportunities to carry out their own ICO even if they do not have the monetary means to do so. The ICOBox staff is a team of professionals. Most of them are representatives of SEOPult (https://seopult.ru/), a large-scale Russian SEO resource and online automated advertising system. Director and co-founder of SEOPult. Mike Raitsyn – Co-Founder. An experienced investor dealing with internet projects. Details of his 10 year experience are available on LinkedIn. Anar Babaev – Co-Founder. Has been working in internet marketing since 2003. He is the author of books about website promotion, and a co-author of several instruments and services such as Setup.ru and Lovetime.com. We asked Anar Babaev questions about ICOBox and received useful answers for all of them. Dmitriy Khovratovich – one of the most important members of the team, he is responsible for the safe storage of ICOS tokens inside the project platform, before their conversion into other tokens by the ICOS token holders. He has a rich experience. From 2003-2004 – he was a sponsorship holder on the Vladimir Potanin Federal Program of Lomonosov Moscow State University, the leading Russian university, in their Numerical Mathematics and Cybernetics department. Only the best students can apply for this sponsorship. He has been working in cryptocurrency projects since 2006. - Best Paper Award Asiacrypt 2010. The team of analysts requires discussion as they are responsible for the auditing of projects. According to information given on the website there are 9 business analysts working for the company. Among them there are IT experts and experienced implementers of their own online and offline projects. The most experienced of several analysts dealing with offline project investments is Vitaliy Pirozhkov, although this shortcoming is compensated by the vast experience of the three founders of the project and the members of the advisory board. There is a lot of evidence showing that staff members are well-qualified. We believe they are able to distinguish valid projects from scams and determine if a project is profitable for a token sale or not. Team members are open to feedback, which is another positive point. A brief search turned up the media coverage of the project in English, Spanish, German, Portuguese, Russian, Arabic, and Japanese; it should also be noted that there are many project reviews on YouTube (the reviewers give differing opinions about the project but it clearly interests them). Project's ads have been spotted in a number of online media as well as on Facebook, Adwords, Twitter, Reddit, Yahoo, Bing, Baidu, Adroll, VK, and Yandex.Direct. The coverage can be assessed as relative wide. The marketing strategy is not disclosed. It is clear that the marketing campaign is working efficiently The staff includes experienced specialists who have proven their skills promoted the GIGA WATT project, and not they are doing it again, using the 70 marketing methods and other marketing tools which will be offered to the clients. The ICO market is young. There are no leading companies providing a token sale arrangement assistance. There are several small companies in the market similar to ICOBox; they are icotech.me, vanbex.com and icohub.org. gathering materials for ICOs promptly. Allows to obtain all elements of conducting ICOs in one place at one time. Feedback to projects from ICOS token holders as potential buyers of the projects’ tokens. Of course we have not seen results yet, so we cannot judge the quality of the experts’ audits of potential projects. The ICOBox Project is a unique one. It operates both on the side of ICO arrangement assistance and on the side of token holders. We have not found any specific risks that could hold the ICOS platform back. Nevertheless, we should not forget about possible traditional risks for the cryptocurrency market. There is the possibility of IT risks during implementation of the project. In fact the main positive aspect is also the main risk, meaning the lack of a requirement for much money for ICO development and implementation. In our opinion there will be many undeveloped projects or fraudulent projects; there will be much work for ICOBox analysts. Of course there will be a second level of audit by ICOS token holders, but we do not think they would be able to carry out a professional audit. The ICOS token holders have a 75% discount on token purchase, but they should realize they are buying the tokens of unknown projects. Besides that, there will be cases in which chosen projects after two audit levels will be unpopular and will fail to be sold out. If token holders do not have the opportunity to convert their tokens into preferred ones, they must choose the less favored ones. It is very important to understand the lifespan of the project, which is finite. Funds raised during the ICOBox ICO will be spent on clients’ ICOs. Its lifespan depends on the volume of raised funds and quantity of projects. 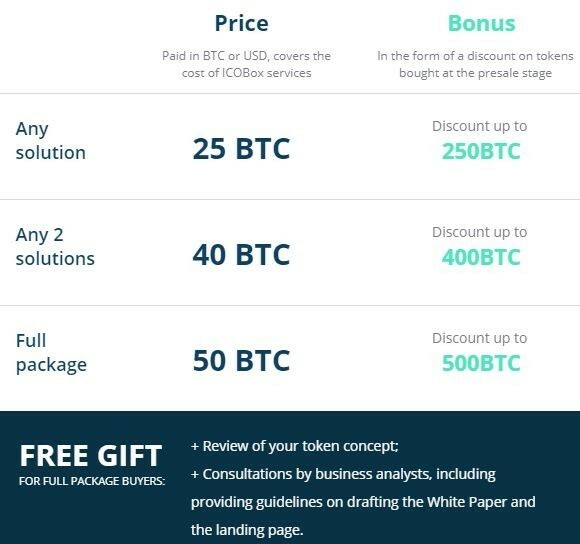 The ICOBox service cost is from 25 to 50 BTC, depending on the client’s choice. We believe this is an adequate price. If ICOBox receives $10 million for ICOS tokens, they can carry out from 60 to 120 ICOs for clients, according to the current BTC/USD rate. We can show some figures: in the first part of 2017 there were 68 ICOs. 50 ICOs are announced as for August 08; 35 ICOs are currently being carried out. 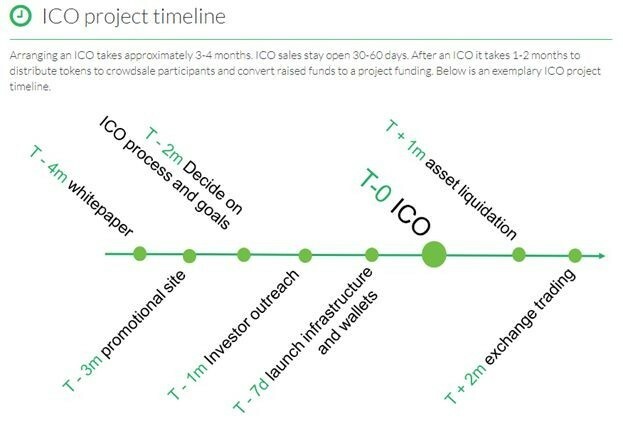 Therefore we may suppose the project can exist for several years, or that ICOBox is too optimistic and they believe they can invite a lot of potential projects for ICO arrangement on their platform. We believe this is not a serious problem. The smart contract secures the fulfilment of obligations as to the tokens; Lifespan of ICOS tokens is not good from the point of view of their ICOS tokens' efficiency within the year. But we believe that the quality of the projects chosen for ICOs is a more important matter than ICOS token lifetime. Expenses for the ICOS project are covered by ICOS token turnover in ICO projects based on the ICOBox platform. If the project raises $10 million during the ICO the team gets ICOS tokens at $2 million. Then they can be exchanged into other project tokens at a total volume of 2400 BTC. At the time of writing, this is about $7,9 million- a strong incentive for the team! We asked the ICOBox company representative about the reasons for deciding on the current project business activity scheme. They explained to us that it is very important to gain customers’ loyalty first of all and avoid possible risks while expansion. Then they will potentially widen the scope of the idea, and invite more professionals for this purpose. We agree with this policy. ICOS tokens can be purchased only within the ICO. We asked an ICOBox representative about token listing on exchanges. He answered: “We do not intend to list our tokens before the first exchange operations inside our platform. Taking into account the business concept of our token, we will cooperate with exchanges to attract more users, raising the quality of the project’s audit process”. So if you are ready to buy ICOS tokens, you should realize the obligations regarding their following conversion into chosen project tokens, because listing on exchanges is not currently planned. It is a very important advantage that ICOS token holders have the right to exchange their tokens not only during the ICO process, but afterwards, if the ICOBox platform balance is positive. We question the feasibility of opportunity to convert ICOS tokens into other ones with 75% discount after exchange listing starts. Token prices can increase. Of course market failure could happen because of the low marketability of ICOS tokens, but it is covered by other advantages. Taking into account modern opportunities in the cryptocurrency market to evaluate token profitability during the ICO process, ICOS token holders can make decisions during an ICO and have the right to exchange their tokens in advance before the end of the ICO. The concept of the ICOS token is simple and clear. It is one of their advantages.